Editor’s note: If your anxiety is overwhelming, or you’d rather avoid prescription medications for the conditions, you may be thinking about using some natural “remedies.” But before you do, read these tips from the National Center for Complementary and Integrative Health, part of the National Institutes of Health. They might surprise you. Occasional anxiety is a normal part of life. You might feel anxious when faced with a problem at work, before taking a test, or making an important decision. But for some people, anxiety becomes a severe, persistent problem that’s hard to control and can interfere with daily activities; this is called an anxiety disorder. Effective conventional treatments for anxiety disorders, including psychotherapy and medication, are available. Although some studies suggest that acupuncture might reduce anxiety, the research is too limited to allow definite conclusions to be reached. In some studies in people with cancer or other medical conditions, massage therapy helped to reduce anxiety; however, other studies did not find a significant beneficial effect. Massage has not been shown to be effective in treating generalized anxiety disorder. 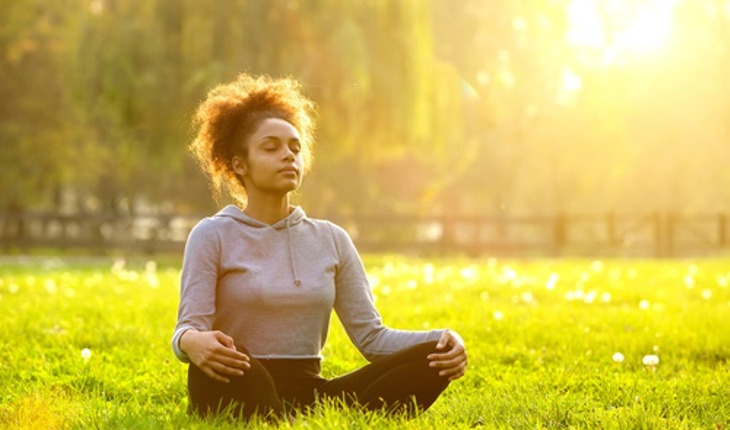 Mindfulness meditation may have a small to modest beneficial effect on anxiety-related symptoms. However, meditation has not been shown to be effective in treating anxiety disorders. Relaxation techniques may reduce anxiety in people with chronic medical problems and those who are having medical procedures. However, conventional psychotherapy (cognitive-behavioral therapy) may be more effective than relaxation techniques in treating anxiety disorders. There is some evidence that suggests melatonin may help reduce anxiety in patients who are about to have surgery. Reprinted from the National Center for Complementary and Integrative Health. For more information on complementary health issues, click here to visit the agency’s website.